Any job requiring workers to go on active roadways is extremely dangerous. Even with road closures, lookouts and reflective clothing, workers are killed on the job on a regular basis. According to a recent news article from WTNH, roadwork crews from across New England showed up at the funeral of a worker killed on the job to pay their respects. The funeral included hundreds of workers and a procession of public work vehicles traveling to the cemetery. The worker who died on the job was working with his crew to fill in potholes, when his life was tragically cut short. Police say victim was working on placing a patch on a large pothole when a public works’ truck began backing up. Driver did not see victim and hit him with the truck. When first responders arrived at the accident scene, they called the dispatcher and requested a medevac helicopter, due the severity of victim’s work-related injuries. Flight paramedics loaded victim onto the helicopter and flew him to a level one-trauma center in Hartford, Connecticut. Medevac helicopter touched down at the trauma center approximately one half hour after the accident occurred, but it was already too late. Victim was pronounced dead upon arrival at the hospital. The truck driver was also injured in the crash and was taken to a local hospital in an ambulance. As our Boston workers’ compensation attorneys can explain, even if an injured worker does not survive, family members can still file an application for workers’ compensation. In these cases, claimants are asking for a death benefits award to be paid to the estate. 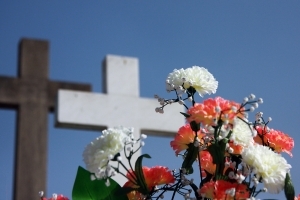 Death benefits can include payment for medical expenses associated with the injury or illness related to claimant’s death, funeral expenses, and lost wages. Lost wages involve not only income lost during the time when claimant was in the hospital, but also wages claimant would have earned had he or she not died as a result of a work-related injury or illness. Workers’ compensation death benefits can be paid out over time in monthly installments, or they can be paid as a one-time lump sum award of damages. The parties or the workers’ compensation commission can also agree to a combination of both, where a partial payment is made in a lump sum and the remaining workers’ compensation death benefits award is paid out over time with monthly checks. However, one of the most heavily litigated aspects of a case involving payment of workers’ compensation death benefits involves disagreement over the total amount of money employee would have earned had he or she not been killed on the job. The first part of this calculation involves determining how long employee would have lived had it not been for the accident. There is an entire branch of mathematics dedicated to this, which is known as actuarial science. Insurance companies use these specialists to determine how to set premiums based upon estimated life expectancies. In workers’ compensation death benefits cases, insurance companies will argue claimant would not have as long as long as family estimated.